Where and when the accident occurred. What happened during the accident. The road and weather conditions at the time. The names, contact information, and insurance information of others involved in the crash. The names and contact information of any witnesses to the crash. Witnesses’ accounts of what they saw. 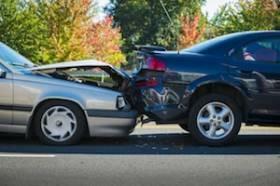 Taking photos of damages to your car and injuries that you or a passenger sustained will be key in proving your case. Before anything is moved or any injuries are treated, try to take as many photos as possible from as many different angles as you can. Take pictures of exterior and interior damage for all vehicles involved, their license plates, the area surrounding the accident, and injuries of any parties involved. Nearly 6,000 pedestrians were killed in motor vehicle crashes in the United States in 2016. The National Highway Traffic Safety Administration (NHTSA) has reported that pedestrians are one of the only groups that have experienced an increase in fatalities in recent years; in fact, pedestrian deaths have been increasing since 2009. Pedestrian safety is a widespread issue, since at some point every day, everyone is a pedestrian. Pedestrian accidents can result in serious injuries and, in some cases, death, which is why it is important to understand the causes of these accidents and what you can do to decrease your chances of being seriously injured in a collision with a vehicle. 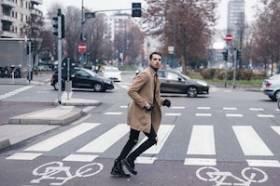 What Increases the Risk of Pedestrian Accidents? We are a society of multitasking--rarely do we ever focus on one thing at a time. Studies have shown that the human brain cannot actually multitask efficiently, meaning that even if you think you are paying attention to more than one thing at a time, you are not. This is why is it so dangerous for drivers to pay attention to anything other than the road. According to the National Highway Traffic Safety Administration (NHTSA), distracted driving leads to more than 420,000 injuries and 3,100 deaths each year across the United States. 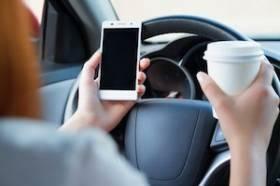 It is important to realize that distracted driving causes car accidents and is something that can be easily prevented. 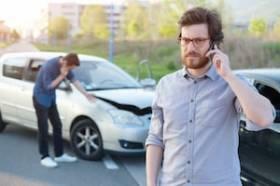 When you get into a car accident, figuring out what to do next can be confusing. If you have been injured in a collision, you can file a personal injury claim to recover expenses related to medical bills, lost wages, and other damages. In order to file a claim, you must prove negligence, which consists of four elements: duty of care, breach of duty of care, causation, and damages. Spring and summer bring long-awaited warmer temperatures in Illinois, and many motorcyclists will be taking advantage of the pleasant weather and spending more time on the road. While motorcycles provide a great sense of freedom, cyclists should be aware of the dangers that come with sharing the road with larger vehicles. Without the safety features provided to the drivers and passengers of cars and trucks, motorcyclists are much more likely to be injured in auto accidents. In fact, even though only three percent of registered vehicles in the United States are motorcycles, motorcyclists account for 14% of all car accident fatalities, and motorcyclist fatalities occur 27 times more frequently than fatalities of drivers or passengers in other vehicles. In order to avoid being seriously injured or killed in a motorcycle accident, cyclists should be sure to take the proper safety precautions. Car accidents can be very scary, and they can have a major physical, mental, and even emotional impact on the people who are involved. 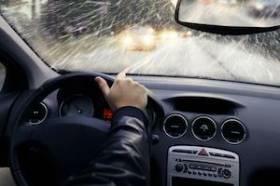 Weather-related car accidents are absolutely no exception, and accidents which take place in the winter may be even more nerve-wracking than accidents in warmer weather. Every year in the United States, there are an average of nearly 5,900 deaths caused by weather-related car accidents, and over 445,000 injuries are reported. If you have been involved in a weather-related car accident, you may find yourself confused about who is at fault and how to receive compensation for your damages. If one person is involved in a weather-related car accident, such as when they lose control of their vehicle and run into a guardrail, snow bank, or tree, they are automatically at fault, even if law enforcement does not issue a ticket. When a claim is filed regarding the car accident, points will be added to the driver’s record, most likely increasing their insurance premiums in the future. The driver will also be responsible for paying their collision coverage, which requires a deductible to be paid to get the car repaired. Here is a sobering statistic: the leading cause of death in U.S. children ages three to 14 is car accidents. In 2014, 121,350 children aged 12 and younger were injured in a car accident, and in 2015, more than 663 children died in a motor vehicle accident. Studies have shown that consistent use of a car seat for young children can help prevent severe injury in the event of a car accident. However, a study conducted by the Centers for Disease Control and Prevention shows that in a single year, more than 618,000 children aged 12 and under rode in a car without the use of a car seat, booster seat, or a seatbelt. 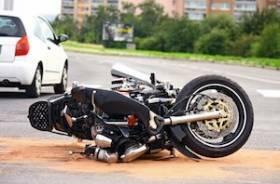 More than half of all traumatic brain injuries (TBIs) are the result of a traffic accident. A startling portion of those individuals suffer long-term complications, including memory loss, confusion, poor concentration, and even balance problems. A new experimental therapy is hoping to help those who suffer from residual TBI symptoms, particularly those that have continued balance problems. Otherwise known as Portable Neuromodulation Stimulation, the therapy is a non-invasive technique that uses a mouthpiece containing 143 different electrodes. Used in a double-blind study of 14 MS patients who suffered from gait and/or balance, the device was used during intense, 20-minute guided physiotherapy sessions over the course of 14 weeks. Results showed that all participants had improved, but those in the “active” group reportedly had improvements that were not seen in patients from the study’s control group. Researchers, who were tentative to claim this as a positive or affirmative result, have decided to expand testing to include those who have suffered from TBI and experience balance and/or gait issues.